MFM members, correct me if I'm wrong. Error wrong spelling: Sekolah Agama Itergrasi, Beranag should be spelled as Sekolah Agama Integrasi, Beranang. Could we std "Kpg" to "Kg". Spelling error: I think it should be Bukit and not Bikit. Routing at Junction between N53 and N6. 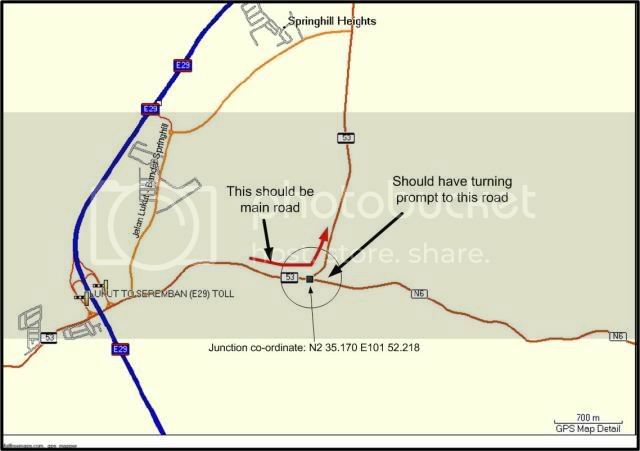 N53 should be main road and should have turning prompt ( be it right or left) to N6. Compiled in New Version of Map and Corrected! Thanks for your contribution! Good Job! 1) Disconnected roads at roundabout Jln Tuan Haji Said – Jln Taman Bunga – Jln Lt Adnan. Pls downgrade to alley road.